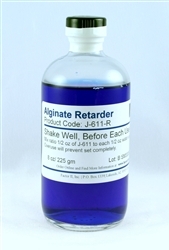 J-611 Retarder is the alginate-retarding agent created especially for sculptors, mold makers and anyone who wished they had more control over the alginate. To slow set time: In 16 ounces (4890 ml) of water substitute approximately 1/2 oz. (15 ml.) of your water mix to 1/2 oz. (15 ml.) of retarder. OR for every pound of water remove 1/2 oz. (15 ml.) 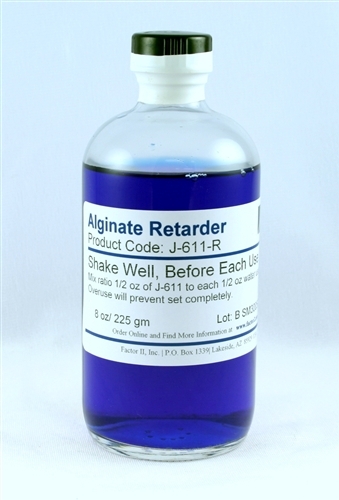 of retarder to add one minute (approximately) of set time. Do not exceed five.